Darrell Brandon, debuted as a Major League Baseball player for the Boston Red Sox in April 1966 and was a starting pitcher with the 1967 Red Sox Impossible Dream team, is shown here holding a golf ball with the #27 that he inscribes on all his golf balls as a memory of his number with the Red Sox. PLYMOUTH, Mass. – This interview with Darrell “Bucky” Brandon is the third in a series of “Where are they now?” profiles of former players of the 1967 Boston Red Sox “Impossible Dream” team who still live in New England. The first two players were Rico Petrocelli and Jim Lonborg. Darrell “Bucky” Brandon was once one of the Red Sox’s more heralded pitching prospects. 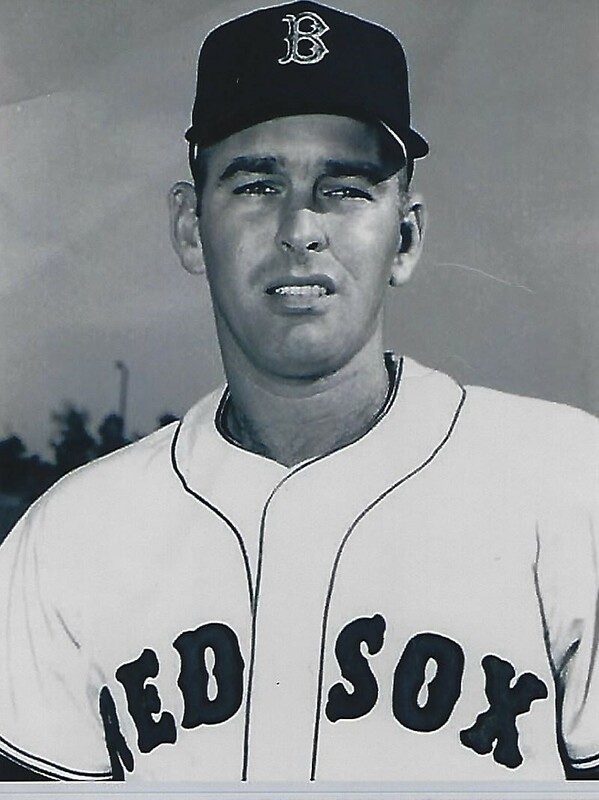 In 1966, in his first full year with the Sox who finished dead last in the league and first in losses with 90, “Bucky” pitched in 40 games and had an 8-8 record, a 3.31 ERA, and a career high 101 strikeouts. He developed arm problems in 1967 that plagued him the rest of his career and went 5-11, and he was not a factor for the team down the stretch. He was traded to the Seattle Pilots in 1969, then to the Minnesota Twins, and ended his seven-year career with the Philadelphia Phillies. 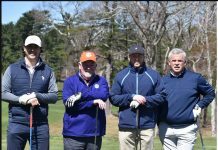 For the last 27 years, “Bucky”, now 78, has lived at White Cliffs Country Club, a private, residential, gated-golf community in Plymouth, Massachusetts, that overlooks Cape Cod Bay. He was introduced to White Cliffs by Dalton Jones, another member of the 1967 Sox and a clutch hitter nonpareil when it counted. Darrell “Bucky” Brandon made his MLB pitching debut for the Boston Red Sox in April 1966 playing in 87 games and compiling 207 strikeouts from 1966 – 1968, in a professional baseball career that spanned seven years and four teams. Leigh MacKay (“LM”): You played MLB for 7 years and 3 of those with the Boston Red Sox including the 1967 Impossible Dream team, so what is your favorite memory from that year? LM: Last year the Boston Red Sox paid tribute to the 50th reunion of the 1967 team. What was that like to go back to Fenway Park and see your old teammates? How many showed up? Name a few. BB: It certainly turned back the clock for me. Had it really been 50 years? Seeing the old teammates was just so special. Jose Santiago, whom I roomed with. And other pitchers Jim Lonborg, Gary Bell, Dave Morehead, Gary Waslewski, Billy Rohr, and Lee Stange. Yaz, of course! And Rico Petrocelli, Mike Andrews, George Thomas and Ken Harrelson, to name a few more. Unfortunately, my good friend Dalton Jones could not be there. And there were a number of others from that team who couldn’t be there or who had passed away. There were 17 of us who showed up. When we ran out onto the field, the fans, who were always great to us, just gave us this marvelous standing ovation. I certainly won’t forget that moment any time soon. LM: How did you get your nickname of “Bucky”? BB: This is an interesting story. I signed to play pro ball right out of high school, first with the Pittsburgh organization and then with the Cardinals, ending up as an outfielder in Dothan, Alabama, in the Class D League. My roommate was Darrell “Bucky” Poodry, an American Indian second baseman from California. I ended up buying a glove from him, and on the thumb of the glove he had inscribed his nickname “Bucky.” I kept that glove, and when I went to the Houston organization two years later, the guys saw that glove, wanted to have a little fun with me, and started calling me “Bucky.” The name stuck. 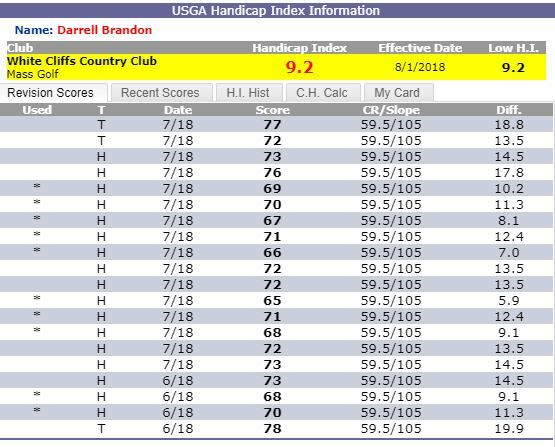 Darrell Brandon has been a popular figure at White Cliffs Country Club in Plymouth for 27 years where he registers about 150 rounds annually between there and at Vineyards Country Club in Naples where he spends the winter with his wife Debbie. He regularly shoots his age or better at White Cliffs CC since par is 62. LM: Where did you grow up and learn to pitch? BB: I was brought up in a town of about 15,000 called Nacogdoches in northeast Texas about 100 miles from the Louisiana border and about 120 miles north of Houston. I played shortstop on the high school team, and I did pitch. I got signed out of a tryout camp and was put in the outfield at first but eventually made the Big Leagues as a pitcher, which, I knew, was really my best position. LM: What do you think of the current team on pace to win about 113 games? BB: They’re fun to watch, aren’t they! I watch them every single game. When I got released from the Phillies in 1974, my wife and I left southern New Jersey that next year and moved back to Massachusetts, living first in Hanover for about 18 years. And I started to follow the Sox religiously at that time and certainly haven’t stopped since. I’m also a big New England Patriots fan and watch every game. LM: From your perspective, who do you rate as top three all-time starters for Boston Red Sox? BB: Pedro Martinez, obviously! And then Roger Clemens, of course. And then I was racking my brain for somebody I watched back in the older days, but I’ll tell you, after watching Chris Sale pitch, I’ve got to put him in there. LM: Who do you rate as the top three relievers? LM: Back in 1967 was there such an intense rivalry with the New York Yankees as there is today? BB: Oh, yeah! Don’t you remember that brawl we had with them in Yankee stadium in 1967? Thad Tillotson, pitching for the Yanks, drilled Joe Foy, actually hitting him right in the head. So, the next inning Lonborg is out there, and he waits for Tillotson to get up and then drills him. Tillotson started pointing at Jim, and before you knew it, everybody on both teams is rushing the infield and pitcher’s mound. Rico Petrocelli and Joe Pepitone were the hot-blooded Italians, and they were screaming at one another, and then a lot of shoving and rassling took over. Not many punches were thrown, however. So, yes, we were pretty intense. 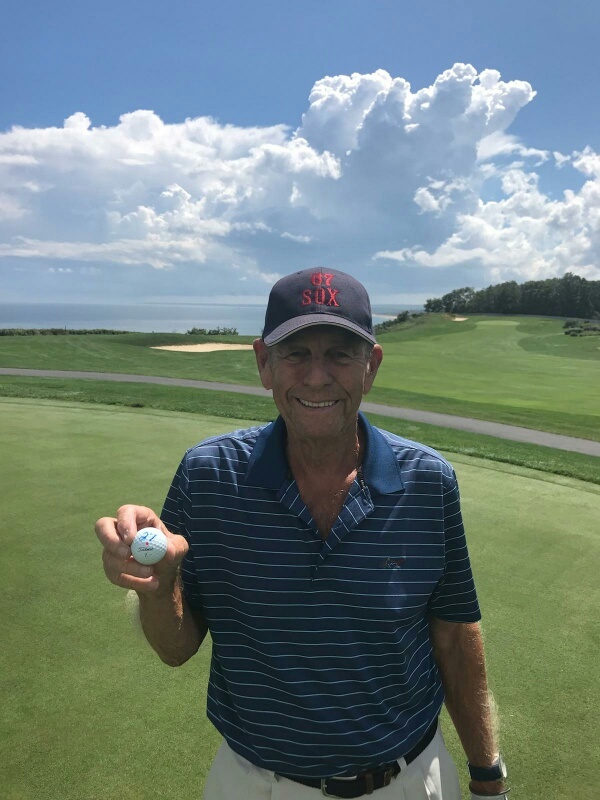 The former Red Sox Impoosible Dream team pitcher, at 78, took up golf at 45 and maintains a 9 handicap between White Cliffs CC Par 62) in Plymouth and Vineyards Country Club in Naples, posting about 150 scores annually. LM: What career did you go into after retirement? BB: I was in the insurance business for 35 years, and I also ran a baseball pitching school in the evening for 20 years, much of the time at the tennis club in Braintree or in a gymnasium in Norwell. I actually started the school in south Jersey after I left the Phillies and taught a number of high school pitchers there, including the Hershiser brothers, Orel and Gordie, who went to Cherry Hill High Schol East. I couldn’t believe it when in 1984, after I’m back in Massachusetts, I’m watching a Dodgers game on TV and Vin Scully says, “Orel Hershiser is warming up in the bullpen.” I had no idea! And he goes on to win 204 games in his career. That was actually the highlight of my baseball teaching career that I was able to help Orel do that. I ran into Orel a number of years ago at Fenway when he was the pitching coach for the Texas Rangers, and he said to me, “Darrell, you taught me everything I know.” That made me feel really good! LM: You knew Hall of Fame Red Sox announcer Ken Coleman? LM: What can you tell me about your golf game? BB: I started when I was 45, 33 years ago. I got down to a seven handicap here at White Cliffs and am now playing to a nine. 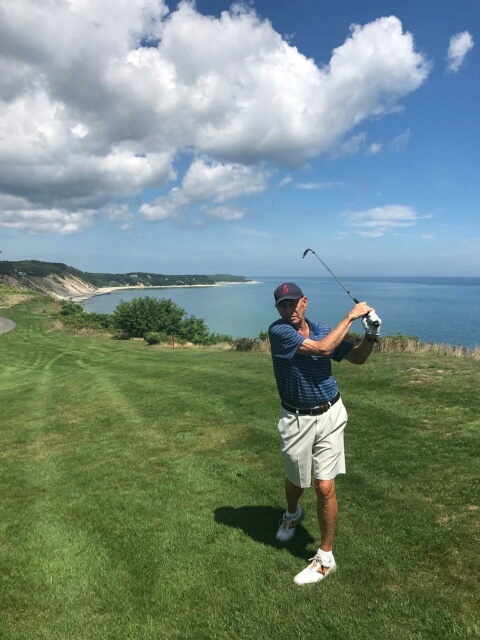 I spend six months here in Plymouth and then the other six in Naples, Florida, where I belong to the Vineyards, which has two superb 18-hole courses and is just a wonderful retirement community. At each venue, I play about 80 rounds, although maybe I play a little more in Naples. I try to play three times a week or so. LM: Do you combine your love of golf with your love of the Red Sox? BB: Oh, yeah! On my golf balls, I write the number 27, my old uniform number. I’ve been doing that forever. 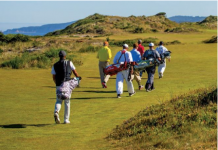 At White Cliffs, if I happen to lose one in the woods, which I do occasionally, invariably, another member who finds it will see me in the clubhouse and return it to me. Everyone knows that “27” belongs to me. And I wear a Boston Red Sox hat when I play. Have for years. Now I have a special hat, too. When I went to the 50th reunion at Fenway in August of last year, one of my friends here at White Cliffs had 10 baseball caps made for me that had embroidered on the front, “67 Sox,” and on the back “Bucky Brandon, #27.” I wear one all the time. Although sometimes I wear a Patriots hat instead. LM: Are the Red Sox going to win the World Series this year? BB: They should! And I believe they will. They’ve got the pitching, and they’ve got the hitting. As long as everyone stays healthy and we get everyone back from the DL, they’ve got the talent to go all the way, and they have proven this year they can beat the Yankees. The Sox will probably have to face the Astros to get into the World Series, but I believe they can take them this year, too. This is their year, and this is history being made.